Born and raised in Jackson, Mississippi, John Morgan has spent the past 10 years serving as general consultant and strategist to over 200 political campaigns in Mississippi. 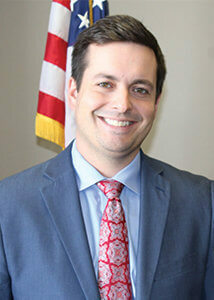 Since 2013, he has focused his work on advocating policies on behalf of firm clients before the Mississippi legislature. John Morgan graduated with a Bachelor of Arts in Political Science and Public Administration from Mississippi State University in May of 2012. In Grad school from 2012 to 2013, he completed his Master’s in Business Administration from the University of Mississippi with an emphasis in Finance. Following an acquisition, John Morgan led the Political Development division of HDPS Inc. from 2013-2015, servicing over 100 clients and growing the division by over 600%. He was chosen to attend the Hive Global Entrepreneurs Symposium in April of 2016 hosted at Harvard Business School in Cambridge, Massachusetts. John Morgan is responsible for the daily oversight and operations of each of JM Hughes Group’s three subsidiary divisions: JMHG Lobbying and Advocacy, JMHG Association Services, and Political Sourcing Group. In addition to his professional work, John Morgan serves on the board of directors for the Mississippi Children’s Advocacy Center, Leadership Greater Jackson, and Delta-Chi Chapter of Kappa Sigma alumni association. He is an avid golfer, duck-hunter, traveler, reader, guest lecturer, raft guide, and runner. John Morgan currently serves as the Medical Readiness Officer for the 183rd Aeromedical Evacuation Squadron, United States Air Force, Mississippi Air National Guard where he holds the rank of First Lieutenant. John Morgan is married to Brittany Davis-Hughes of Meridian, Mississippi. They have 2 dogs, a Labradoodle named Huck and a rescue Yorkie named Kona. 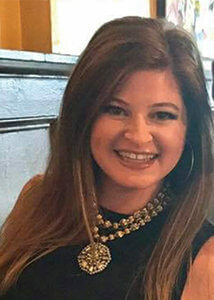 Brittany is a 2013 graduate of Mississippi State University where she earned dual-bachelor degrees in Insurance Risk Management and Marketing. She served in various marketing and account management capacities for regional commercial insurance corporations prior to joining the JM Hughes Group team in 2018. In addition to overseeing all day-day administrative functions of the business, she also handles regulatory compliance as well as as event and meeting planning on behalf of firm clients. 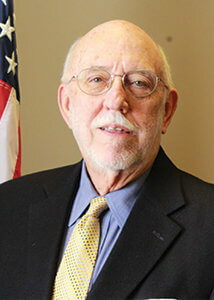 John Baas began working at the association in 1992 as Director of Industrial Relations. In 2008, he was promoted to Director of Government Affairs. John’s lobbying and work with state legislators and Congressional delegation greatly impacted MMA members, as well as Mississippians. John had a strong hand in making sure legislation was passed in the following areas: workers compensation reform, inventory tax credits, establishment of the Workforce Enhancement Training Fund, maintaining right-to-work laws, franchise tax phase out, lowering unemployment insurance premiums, and many more important legislative victories. John also served as staff liaison for the MMA Government Affairs Committee and MMA Political Action Committee where he kept members informed of important legislation. Twenty years management experience working in manufacturing facilities in Mississippi, Louisiana and Texas. Responsibilities included Human Resources, Safety and Benefits Administration. Twenty-six years with Mississippi Manufacturers Association serving as Director of Industrial Relations and later as Director of Government Affairs. Responsibilities included lobbying and representing manufacturers’ policies and positions to the Mississippi Legislature and Congressional Delegation. Legislative accomplishments include: workers compensation reform, inventory tax credits, establishment of the Workforce Enhancement Training Fund, maintaining right-to-work laws, franchise tax phase out, lowering unemployment insurance premiums, and other manufacturing related issues. Also served as staff liaison for the MMA Government Affairs Committee and MMA Political Action Committee. In this capacity, Baas was instrumental in helping conservative candidates be elected to the Mississippi Legislature. Served two years on the Mississippi Personnel Board. 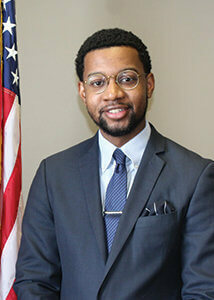 LaDarion Ammons is a life-long resident of Jackson, Ms. After graduating from Mississippi State University, where he received a bachelor’s degree in Political Science, LaDarion returned home to help run his family businesses. During the 2014 Legislative Session, LaDarion served as a Policy Assistant for the Mississippi Speaker of the House. Ammons also attended law school at Mississippi College in Jackson, Ms. Shortly after, LaDarion began his journey in Governmental Relations and Lobbying. In addition to his career, Ammons became the co-founder and CEO of the non-profit mentoring program, Brothers of Mississippi, Inc., with the vision to “Empower the youth through education, service, and leadership.” Some of his hobbies are golfing, traveling, reading, parasailing, and spending time with family.